This Scratch Off Map Globe allows you to record where you’ve been on your trip by scratch off country or continent you’ve been to, to see additional accent of beautiful colorful map with geographical detail. Just simply grab a coin and scratching off all the destination’s you have been, lucky enough to visit creating your own personalized continually changing world map. It’s the perfect map or gift for the traveler allowing complete personalized of the map to display a unique travel story. With this Scratch Off Map Globe would determine you more to explore our aesthetic and beautiful world. 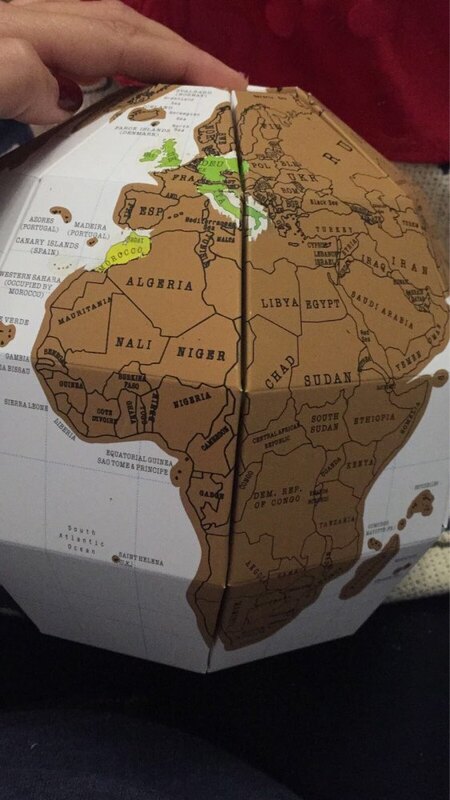 This Scratch Off Map Globe will give you determination, achievement, satisfaction feels and proud of yourself. This is a must-item for traveler!! 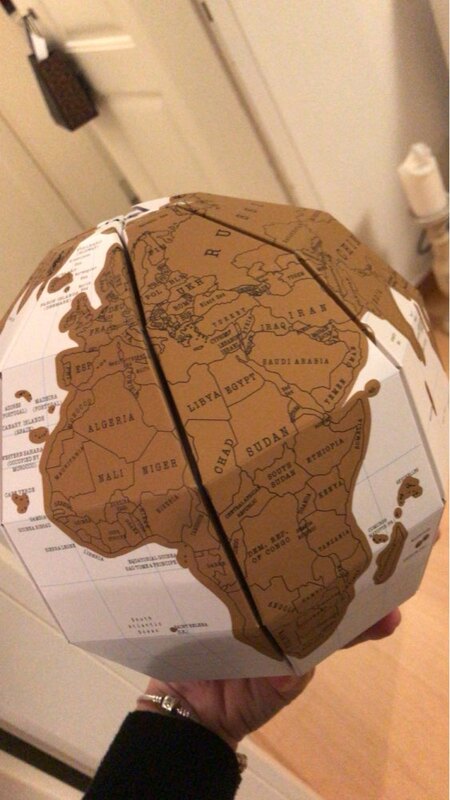 Scratch Off Map Globe comes flat packed, ready to assemble!!!! We’re rolling out an awesome new product. For a limited time, you can order this product for $36.95 instead of the regular $50.95. P.S: TO TRAVEL IS TO LIVE!!!! Products are offered on a first-come, first-served basis, so be sure to order soon!